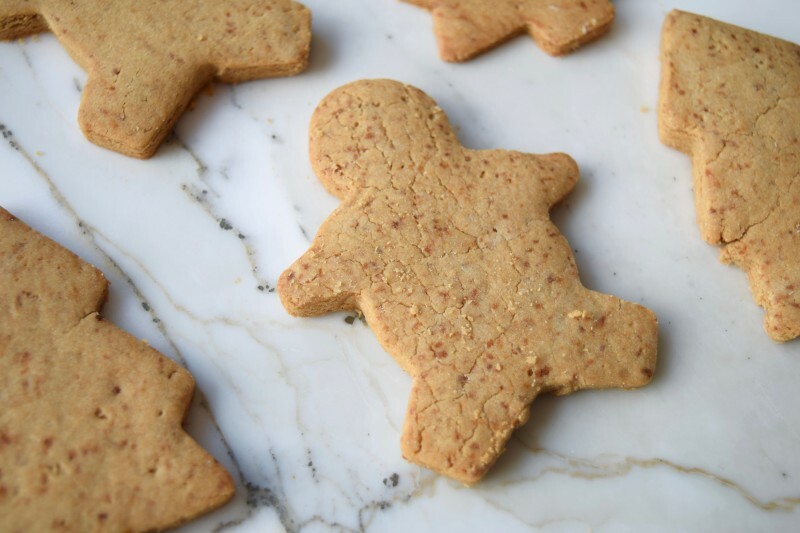 The irony of paleo sugar cookies does not escape me, but I wasn’t sure what else to call this healthier, whole food take on the holiday cookie staple. 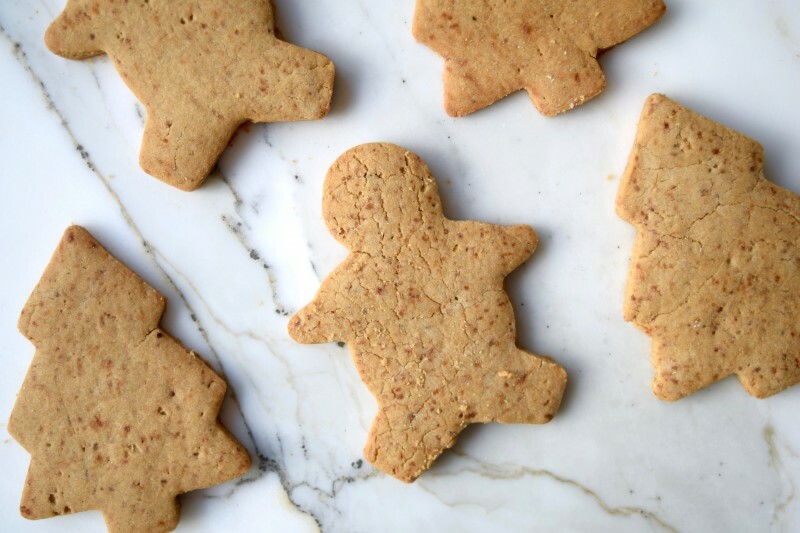 Made with cassava flour, coconut oil, and coconut sugar, it really does have the traditional sugar cookie look, taste, and feel. You can ice them if you want (perhaps use melted dark chocolate, or your fave healthier frosting recipe), but I enjoyed them with out any frosting. If you’re looking for other healthy dessert ideas to round out your holiday cookie tray, check out these Sweet & Salty Almond Butter Date Caramels, Chewy Almond Date Cookies, or Almond Goji Protein Bites. I used Otto’s Cassava flour, which you can get for 10% off on vitacost.com. Coconut Oil: Coconut oil is a healthy fat that supports a healthy metabolism. I used it in place of butter. Be sure to choose an unrefined version. I used Dr. Bronner’s Coconut oil, which is 10% off here. Coconut Sugar: Coconut sugar is a lower glycemic alternative to white sugar. While it is not a “health food” in the sense that oranges and kale are, it makes a better choice over the traditional table sugar. Similar conventional sugar cookie recipes called for about 1 1/2 cups of sugar, where as this recipe uses a third (66% less!!!) of that amount. I like the Navitas Brand coconut sugar which is 40% off on vitacost. A healthier sugar cookie recipe made from cassava flour, coconut sugar, and coconut oil. In a large bowl, combine the coconut oil, egg, and almond extract. Mix well with a fork until well combined. Next, add the remaining dry ingredients and use a rubber spatula to completely incorporate the dry mix into the wet mix, until a dough is formed. Place a large sheet of parchment paper on the counter, and place the dough ball on it. Place another piece of parchment paper on top of it, and use a rolling pin (or wine bottle for those of us without a rolling pin) to roll it out into a ¼ inch thickness. You don’t want them to be too thin, or they will break/crumble. 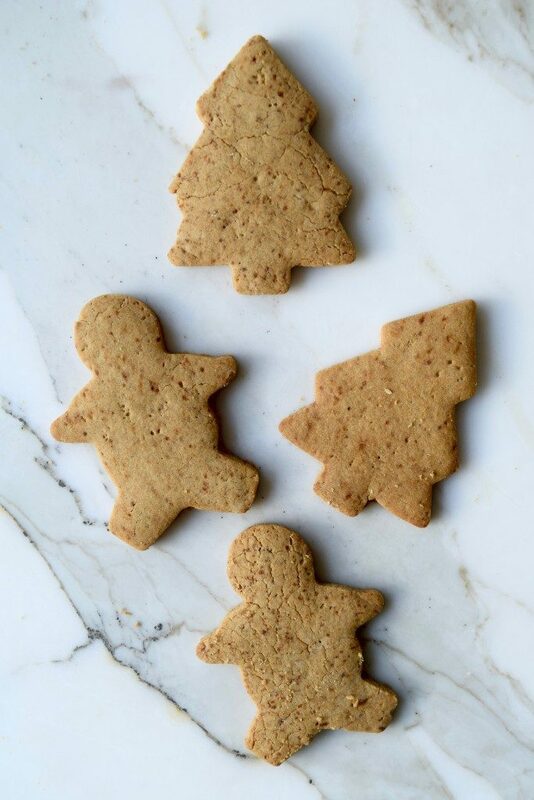 Use cookie cutters to make desired shapes, then carefully transfer them to a parchment lined baking sheet, spacing them an inch apart. You can continue combining dough scraps into a ball, rolling out, and pressing with cookie cutters until all dough is used. Bake for 12 minutes until edges are golden. You can serve as is, or, if you’d like to ice them, let them cool completely first.